Does 10 Glasses of Ice Water Burn 300 Calories? Since the body must expend energy to bring a beverage's temperature to body temperature, calories are burned simply by drinking water. 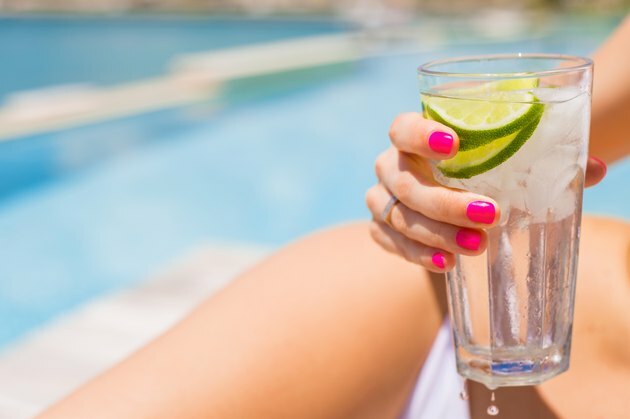 Although drinking multiple glasses of ice water will not cause significant calorie-burning, ice water is still healthy for the body and makes up an important part of a weight loss program. The FitDay website explains that drinking one eight-ounce glass of water requires the body to expend between one and eight calories. The exact number of calories burned depends on the internal body temperature and water temperature upon consumption. With these calorie estimates, drinking 10 glasses of ice water could burn between 10 and 80 calories. Burning 300 calories simply by drinking ice water would require a person to drink between 38 and 300 eight-ounce glasses of water. However, drinking this much water in a short period of time would likely result in serious health problems and may even cause death. Although drinking ice water does not cause a significant calorie-burning session, proper hydration is essential for weight loss. To avoid dehydration, the body must receive adequate hydration while burning calories through exercise or physical activity. Although the water itself does not burn calories, the water does help the body burn calories more efficiently. FitDay: Do You Burn More Calories Drinking Ice Water or Tepid Water?